I’m really beginning to enjoy skincare a little bit more so was very excited to finally be trying the much loved Sarah Chapman Skinesis range. I’ve added these items into my skincare regime and although I haven’t completely replaced other items in my skincare these are probably getting the most love at the moment. Skinesis Ultimate Cleanse (£40 here)- In my opinion good skin starts with a good cleanser as if you aren’t getting all your makeup off properly you will be waking up with clogged, congested, dull skin. I love that this cleanser comes in a pump bottle as it means you don’t need to stick your fingers in a pot (um… Emma Hardy.) but it’s still got a great balm texture. It removed makeup really easily and has a very luxurious feel to it. I reach for this mainly if I am wearing a lot of makeup or have had a long day and really massage it into my skin before removing it with a cloth. Skinesis Anti-ageing Day Cream (£43 here)- This cream goes on beautifully, keeping skin hydrated all day without being too heavy and the SPF 15 is definitely a plus now that we are coming into spring. It’s quite a luxury face cream with an expensive price tag and although I would usually suggest getting a cheaper day cream this one is one of the best I have tried. Skinesis Intense Hydrating Booster (£57 here)- This is a pre-moisturiser product which helps maximise the benefits of the products you put on after (think Hydraluron) and it really does work. If you feel you are happy with your current skincare but feel you need a little extra boost this could really help. Skinesis Overnight Facial (£45 here)- This has to be the best known product from the range, everyone raves about it! It’s an overnight serum/oil which leaves your skin beautifully hydrated the next morning. I’d be lying if I said I don’t often apply only this after a good cleanse and a possible tone. It really brightens up the complexion leaving skin radiant and glowy. The perfect go-to product the night before an early morning or a big event. Have you tried any Sarah Chapman products? Keep an eye out in my favourites, I’m sure some Sarah Chapman products will make an appearance! The Sarah Chapman Skin Care range really does sound very nice, the cleanser in particular is something that I would consider purchasing. I love the packaging! So different. Seems like products worth trying though. Bit too pricey for me. I have read so much about this range and have an urge to buy and try! Thanks for reviewing this range. 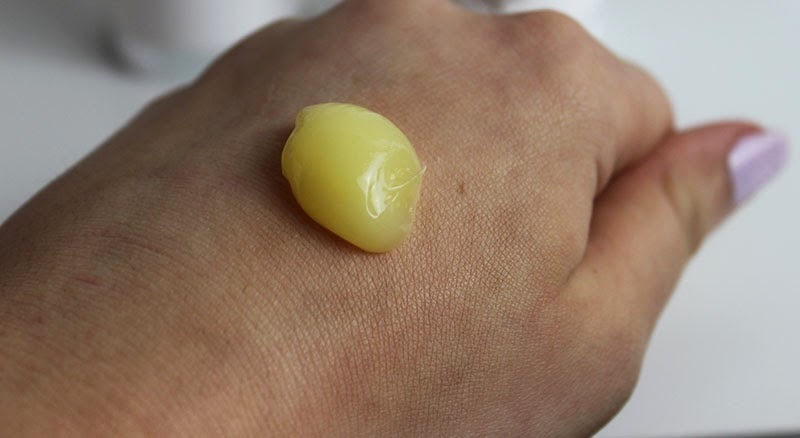 Do you know id any of the products contain mineral oil (really cheap ingredient)? Ooh I wasn't expecting such a bright colour product! But I am keen to try this, the whole range looks lovely. I'd love to try this range, heard such amazing things about them. I'm most intrigued by the oil!